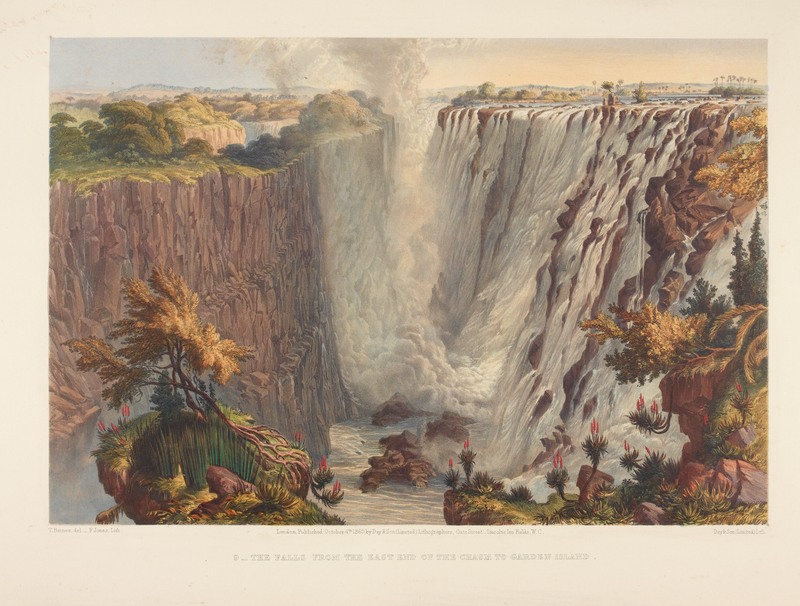 Victoria Falls, the first tourist. In 1855, on November the 17th (or thereabouts, the actual day is contested), Dr. David Livingstone departed “Kalai” island on the Zambezi River and headed off to view what the local Makololo people called, “Mosi-oa-tunya”. Or as translated today “the smoke that thunders”. In true keeping with the staid, stiff-lipped, Victorian pioneering spirit, prevalent at the time. The good doctor notes he kept a brave face, and a level head, on the no doubt, hair rising approach up to what is today known as Livingstone Island. Absolutely determined that he could endure whatever his local,”mokoro” (a wooden canoe made from a single tree trunk), paddling guides could. It is interesting to note that Livingstone’s companion Chief Sekulute, of the Makololo people, did not accompany him on this short foray to the edge of the 105m chasm. Which Livingstone, later christened “Victoria Falls”, after his beloved monarch. According to Livingstone, on the morning of departure for the falls, the second manned canoe the chief had ordered up for the trip failed to arrive. Whereupon the chief solicitously let David, who was arguably the regions very first tourist, carry on alone with his guides. From this humble canoe beginning over a hundred and fifty years ago. We now have a plethora of daily boat and foot expeditions, to the very spot where Dr. David Livingstone first lay enraptured, staring down into the falls. Allegedly uttering the phrase “a sight so wonderful that Angels must have gazed down on it in flight”. The Western falls that Livingstone would have seen at a similar water level, this picture was taken in November. Devil’s pool is visible above the middle flow of water in the above picture. The Mosi-oa-Tunya National Park on the Zambezi River. While the name “Victoria Falls” and “Mosi-oa-tunya”, are widely accepted as the name of the Seventh natural wonder of the world. The description of the Makololo people of the rising mist “Mosi-oa-tunya”, directly translated as the “smoke that sounds”, is also the name of Zambia’s smallest national park. At just sixty-six square kilometers, the “Mosi-oa-Tunya” national park also includes twelve kilometers of pristine Zambezi river frontage. Stretching up to the Sinde river mouth and including the falls themselves. 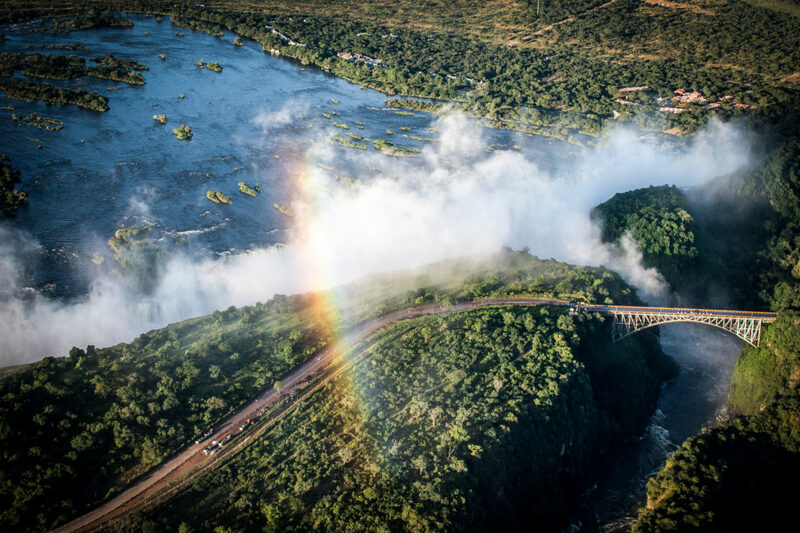 While demand for following the footsteps of Dr. David Livingstone onto “Livingstone Island” and the sights thereon, has grown exponentially over the past years. The upper reaches of his journey, up to and including “Kalia” island have not been offered to the same extent, until now. Canoeing past Elephants in the Mosi-oa-Tunya National Park. From the 1st of April 2018, Safari-Par Excellence has begun offering canoe trips into the Mosi-oa-Tunya national park. In an area arguably in much the same condition as that which Dr. David Livingstone, Chief Sekulute, and his two-hundred Makolole retainers would have found it. Canoeing past a large croc in the park, the crew looking very relaxed. 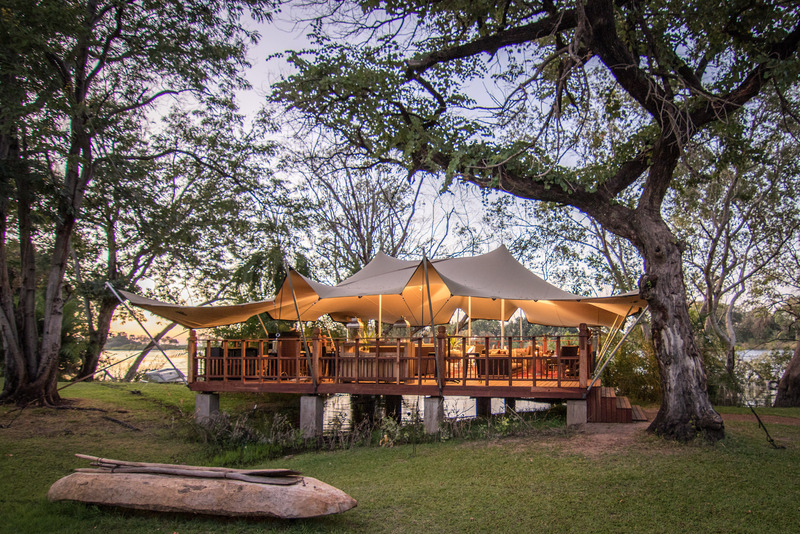 While following in the paddle strokes of the acclaimed explorer and his companions, the expedition style trips on the Zambezi River also offer the modern day adventurer some superb game viewing opportunities. In the dry season, the small Mosi-oa-Tunya national park has been known to have up to three hundred elephants at any one time within its borders. 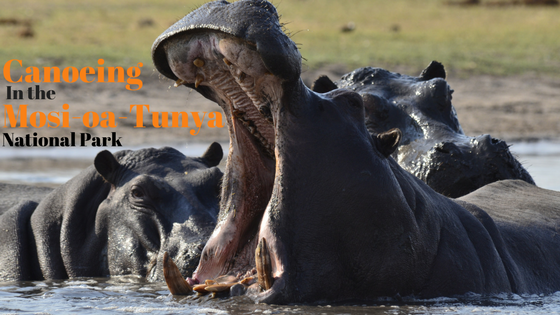 The park is also home to large populations of hippopotamus and Nile Crocodile, which are seen on most trips. While the park itself is not home to the big African cats, it has a wide range of wildlife easily seen from the river, these include among others, Buffalo, waterbuck, bushbuck, warthog, foraging baboons, Nile monitor lizards and a huge variety of birdlife. 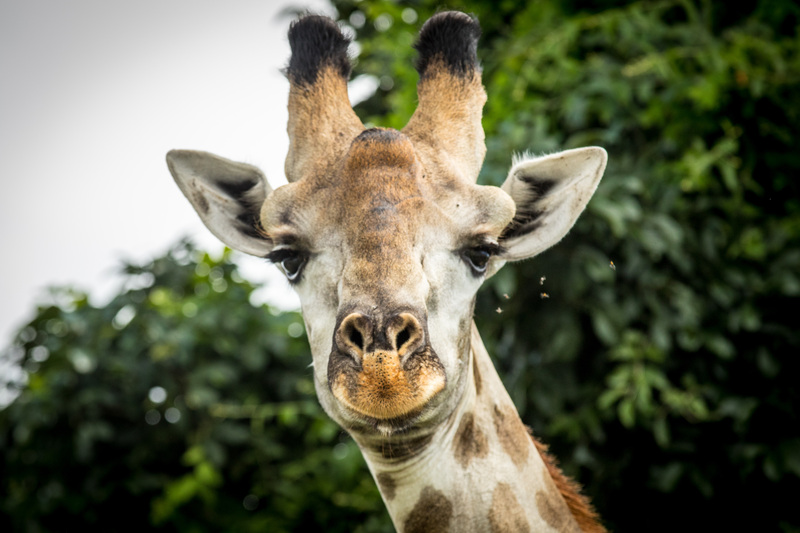 The Mosi-oa-Tunya park is also synonymous with sightings of large family groups of Giraffes. The Park is home to a large number of Giraffes which are often seen. 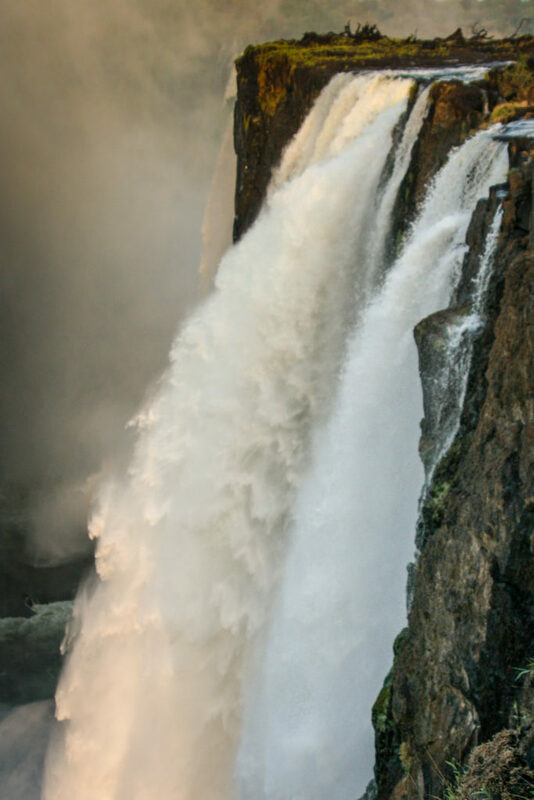 Famous recent descents of the Zambezi. Perhaps one of the most recent, famous descents of this section of the Zambezi River. Has to be that of the team from “Comic Relief” in 2013, where celebrities Mel C, Jack Dee, Dara O’Briain, Greg James, Chelsee Healey and Phillips Idowu took on the mighty Zambezi River expedition in the name of charity. The group was under the instruction of Safari-Par-Excellence’s River manager Andrew “Sven” Bolton. Raising over 570,000 GBP for good causes the world over. One of the schools close to the canoe “put-in”,”Mundia school” is still sponsored by this event. Safari-par-excellence still contributes greatly to the school through various fundraising activities. While the canoeing trips on the Zambezi are of a much more luxurious, relaxed nature, than that done by the red nose celebrities. The transition to using the park’s river frontage as a resource is also vital to the survival of the park. The Mosi-oa-Tunya national park is administered and run by the Zambian Department of National Parks and Wildlife. The entry fees, park usage, and river usage all guests indirectly and directly pay. Are vital to the continued existence of the countries wild places and the Mosi-oa-Tunya National park in particular. 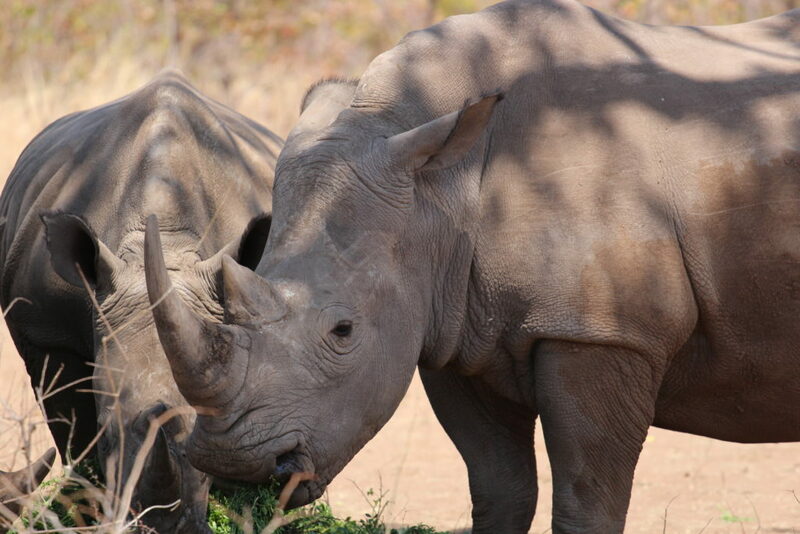 The park is also home to the majority of the countries endangered white Rhino population, the contribution of low impact sustainable tourism cannot be understated. The Park employs round the clock security for the resident white Rhino. 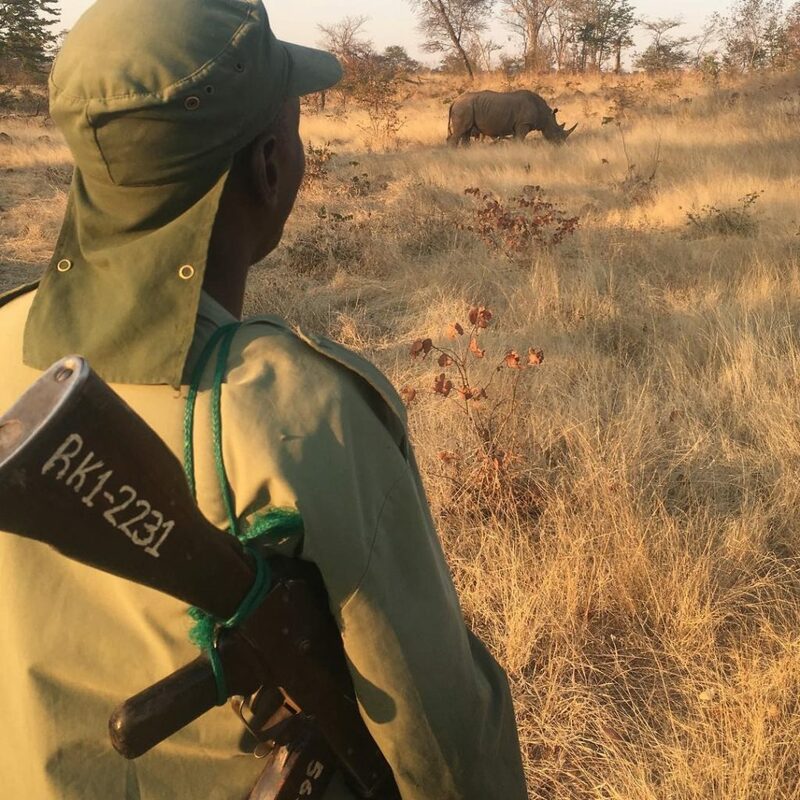 The park fees paid by guests for entering the park are vital to the continued running of the park and the safety of the Rhino. Two of the Mosi-oa-Tunya National Park’s twelve white Rhino. The programme has been extremely successful and the animals have been breeding. 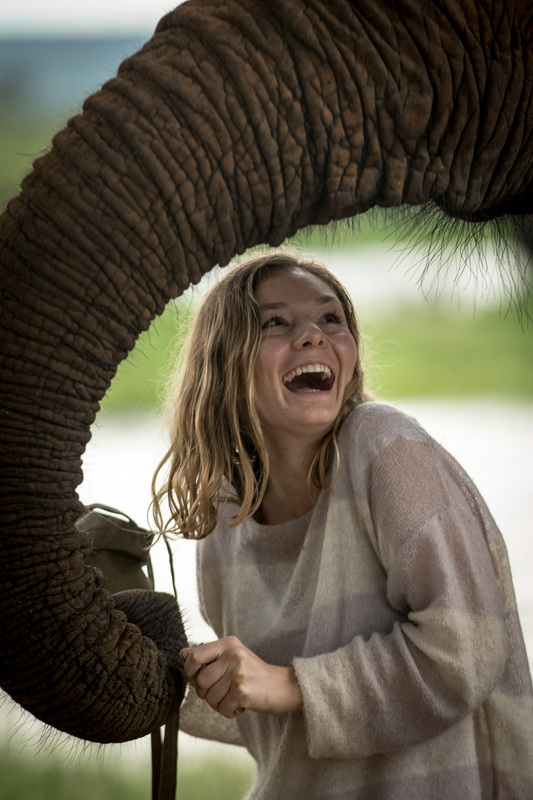 Safari-Par-Excellence already operates the “The Elephant Cafe'” in the Mosi-oa-Tunya national park and the Cafe’s rescue herd of ten elephants live within the park on the banks of the river. David Livingstone(1873).MISSIONARY TRAVELS AND RESEARCHES IN SOUTH AFRICA. Urbana, Illinois: Project Gutenberg. Retrieved April 04, 2018, from www.gutenberg.org[EBook #1039]. 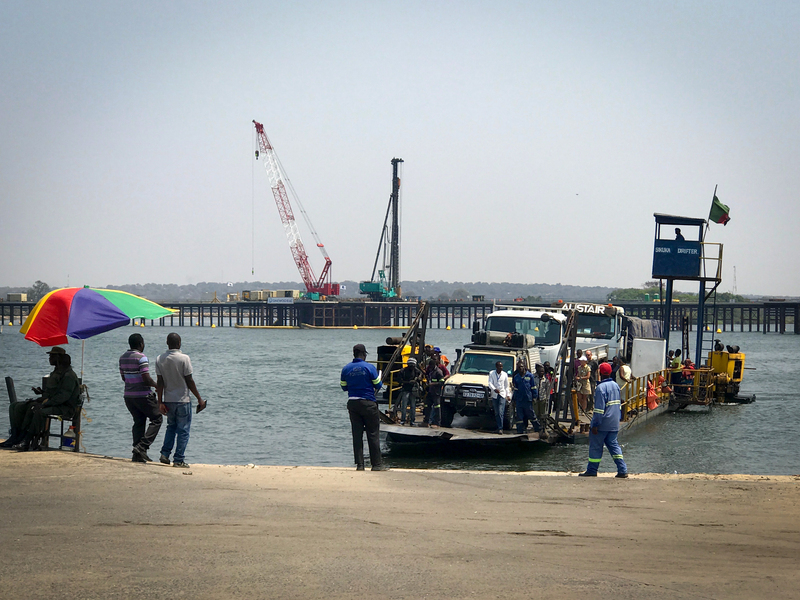 Self drive Kazungula Ferry crossing 4 by 4 by Safpar.